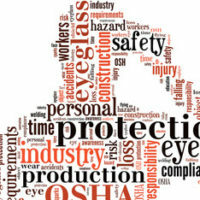 Is Your Employer Meeting OSHA’s Standards? All employers must adhere to state and federal laws when it comes to workplace safety and sanitation. Employees who are injured on the job or come down with a workplace illness deserve to be financially and medically compensated through Florida’s no-fault workers’ compensation system. Only when an employer expresses egregious negligence or malicious intent does an employee have the right to file a personal injury lawsuit. However, employers must abide by certain Occupational Safety and Health Administration Standards, or risk being heavily fined or even held criminally accountable. OSHA’s standards for restroom facilities vary depending on the type of job. For instance, construction job sites may have different standards than an office building. However, every employer must make standard sanitation and toilet facilities available so that all of their employees are able to use them when needed. Additionally, an employer is not allowed to make unreasonable restrictions for use of these facilities. If you believe that your employer has not held up their end of the bargain by not creating a facility that is nearby, accessible, clean, or large enough for the number of workers present, it is best to consult a lawyer. Pests are a common problem in many workplace environments. OSHA’s strict standards are often not upheld, and with cockroaches so common in Florida, constant upkeep must be adhered to in order for the workplace to remain clean. In fact, in recent news, 31 Miami-Dade restaurant establishments were found to be contaminated by cockroaches over an inspection period of 30 days, according to the Miami Herald. Florida’s Division of Hotels and Restaurants, Department of Business and Professional Regulation inspectors shut down two of the establishments upon the findings. Eating establishments are not the only places that must be kept clean of pests. OSHA requires all employers to construct, equip, and maintain their workplaces to prevent rodents and insects from entering into the workplace.” And, if there is a contamination, effective extermination must be used in a timely manner. If you came down with a workplace illness or injury, whether it was a mistake on your behalf, an error caused by your employer, or a freak accident, you have the right to file a workers’ compensation claim. Call the West Palm Beach offices of the Celeste Law Firm today at 561-478-2447.